Ethiopia is calling for international assistance to help feed 8.2 million of its citizens. This year the rains failed in southern Ethiopia and some 25% of a country of 90 million people are facing acute food shortages in the coming months. 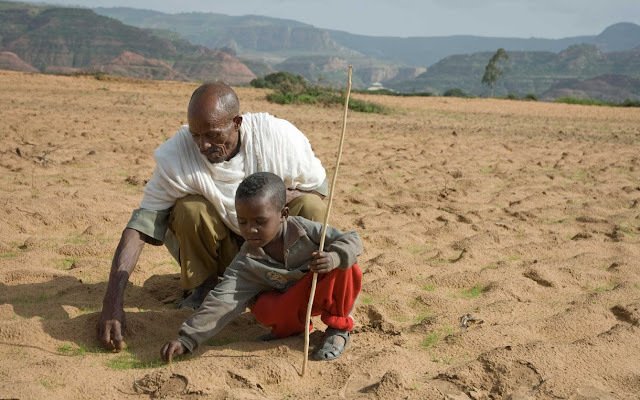 This climate disaster, brought on mainly by western industries damage to the environment, has left the Ethiopian government quietly begging the international community for a preliminary food aid package worth $500 million, desperately need to start feeding over 7 million people. Wait a minute. Didn’t the World Bank just anoint Ethiopia with the title of the worlds fastest growing economy and not just for 2015, but for 2016 and 2017 as well? Get this now, Ethiopia is the worlds fastest growing economy yet it needs half a billion dollar$ in emergency food aid to keep millions of its people from starving? When you fight your way through all the smokescreens thrown up in self defense by the international financial banksters you finally find that Ethiopia is expecting a total net export income of $3 billion this year, depending much on the price of coffee, for the sacred brew and cut flowers make up most of Ethiopian export income. Ethiopia is fighting an insurgency in the south east, the Ogaden. Ethiopia carrys out counterinsurgency activities in the west in Gambella, home to some 1 billion barrels of oil reserves. And of course, Ethiopia is fighting a large well armed guerilla army in the regimes ethic homeland of Tigray based on the Eritrean border, an army now directed by the leadership council of the newly united major Ethiopian opposition groups such as Ginbot, the real winners of the 2005 “election”. With the appearance of China in a major way Ethiopia has been a subject for concern by the western warlords, with Barack Obama spending several hours reassuring Ethiopian P.M. Desalegne during a first ever visit to the country by a sitting US President during Obama's recent trip to Africa. The capital of Ethiopia, Addis Ababa, is the most visible sign of this investment, taking on a boom town look, with Africa's only urban electric train and double decker freeways running through the city. Its only when you leave Addis Ababa and the freeway turns into a dirt road does the real Ethiopia come into play. The bizarre side of all this is that as scenes of millions of starving Ethiopians once again blight the tv screens of the world, the banksters through the western media will keep telling us how fast the Ethiopian economy is growing, one of Africa's success stories. The problem is climate disaster doesn't care about all the propaganda, it just goes about its deadly task of reaping what you sow, as in the western industrialists destruction of the environment and African people starving to death as a result.